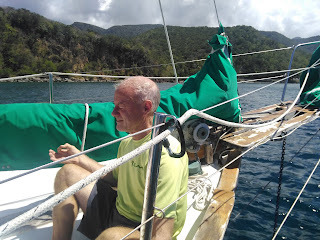 Onapua........the sailing vessel: Exercise on a boat? Most of the time when cruising, you generally get a chance to get off the boat every day to do some cardio exercises like walking, biking or swimming. 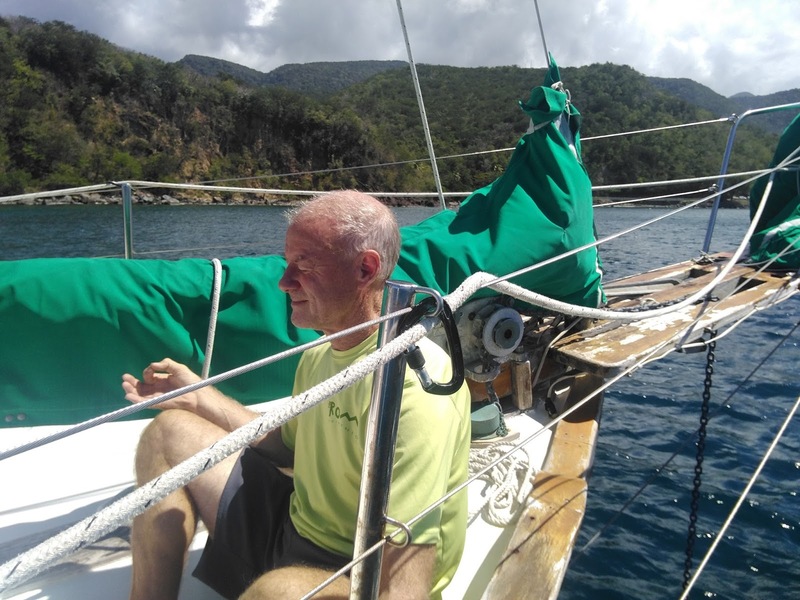 Occasionally though, you are on passage or the weather does not cooperate, and you have to stay onboard just in case someone drags their anchor or it is too rough to get in your dinghy safely. In that case I like to at least do something for half an hour a couple of times a day to keep in shape. This is the routine it is possible to follow, even on a rocking boat, a couple of times with a dozen or so repetitions of each. The latter I do with meditation for about 10 minutes all accompanied to music from Enya on Google Play.